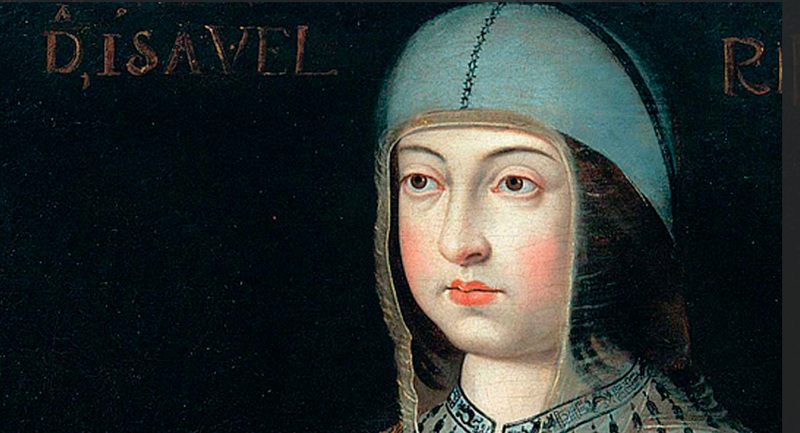 Isabella of Castile was not in the line-up to be queen – after all, it looked far more likely that her brother or her niece would ascend to the throne. When destiny called, however, Isabella became Europe’s first great queen and female global leader, bringing disruption to the fifteenth-century world. Her dream of an ecumenical Christianity led her not only to achieve the unification of Spain with the conquest of the kingdom of Granada, but also to pursue the discovery of America, in the firm belief that it was her mission. In her relatively short life she managed to establish herself and her authority against all odds, assuming challenges and responsibilities that few women had faced before then. Described by her contemporaries as cultivated, intelligent and kind, she pursued her dream of a global Spanish empire that would eventually lead Columbus to the discovery of America, changing, maybe for ever, the role of female heads of state in international politics. She was an entrepreneurial leader and a strategic risk-taker who leveraged opportunities to the full. “I will assume the undertaking for my own crown of Castile, and am ready to pawn my jewels to defray the expenses of it, if the funds in the treasury should be found inadequate.” This sentence summarizes the spirit of a woman who assumed as motto for her kingdom the famous sentence, visible in the royal arms “tanto monta, monta tanto”. Though popularly believed to refer to the equal share of power between Isabel and her husband, Fernando of Aragón, it actually refers to a much more interesting anecdote: in one of the many accounts of the life of Alexander the Great, the Macedonian Emperor of Antiquity who conquered the world, Alexander is challenged to untie the Gordian Knot. Resolutely, Alexander took his sword and cut it in two, untying it. “Tanto monta, monta tanto, cortar como deshacer” said Alexander in the Spanish version, and this is the sentence adopted by Isabella as her motto: it is the ends that matter, not the means. It is true, however, that Isabella was queen, entrepreneur, mother and wife with equal passion, and that in the premarital agreements signed with Fernando she protected her independence and safeguarded her independence in her kingdom of Castille: she was not a queen consort, nor a virgin queen, not a widowed regent, but rather a determined, kind (hers is the idea of creating the first campaign hospitals during the conquest of Granada) and extremely powerful women whose determination changed forever the maps and the form of the world. This article has been written by Susana Torres and María Eugenia Marín. María Eugenia Marín is General Director of International Relations at IE Business School and IE University in Spain, having joined the External Relations team in 2002. She holds a B.A. in Government from Harvard University and an MSc. in International Political Economy from the London School of Economics and Political Science (LSE). She has also undertaken business studies in Oxford, England and in the United States. From 1992 to 2002 she held the post of Senior Research Associate and Manager of External Relations at the Institute for European-Latin American Relations (IRELA), a Madrid–based, EU-funded international think tank where she specialized in political and socio-economic relations between the EU and the Andean region. Previously she collaborated with the Mid-Career MPA Program at the Kennedy School of Government at Harvard University and with the Labor, Education and Human Resources Committee of the US Senate focusing on issues of bilingual education. She also worked as an advisor on education for the Campaign Office of US Senator Edward Kennedy in Massachusetts. In addition to her extensive experience in the public sector and the field of education, Ms. Marin has held positions in banking and real estate investment. 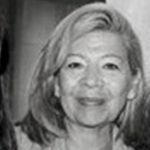 Ms. Marin was educated in her native Bolivia and in the US, and has resided in Europe since 1992. Susana Torres Prieto is PhD. 'Doctor Europeus' in Slavic Philology by Cambridge University and Universidad Complutense. She did her postdoctoral studies on history in Paris (EPHE) and on paleograhpy and codicology in the US (Ohio State University). Professor Torres has developed her academic and research career in the areas of Slavic and Medieval Studies. She has specialized on the literature and culture of Russia from the Middle Ages until now, as well as on the means and context of transmission of knowledge, on which she has published extensively. She has taught in several universities in Spain and the US and, after having been member of several international research groups, directed her own international research group on translations into Slavic of Greek religious texts. She has been appointed Visiting Scholar at the Universities of Harvard, Ohio State, and Cambridge (UK). She is also member of several scientific societies worldwide. Her current research focuses on the transmission and representation of ideologies of power from the Middle Ages until now, particularly in the different Classical and Biblical models used in Eastern and Western Europe. Susana is currently Professor of Humanities and Academic Director of Humanities at IE University and IE Business School. She is also Researcher in the Cátedra La Caixa/IE of Management.